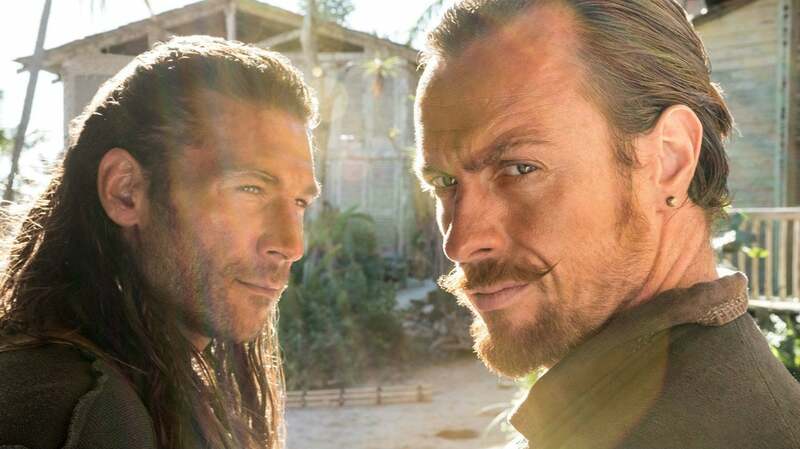 Black Sails Black Sails” has been renewed by Starz for a fourth season. The series is created by Jonathan E. Steinberg (“Jericho,” “Human Target”) and Robert Levine (“Touch”) and executive produced by Michael Bay (the Transformers franchise, Armageddon, Pearl Harbor), and his Platinum Dunes partners Brad Fuller and Andrew Form (Teenage Mutant Ninja Turtles, The Purge), as well as Chris Symes (Hellboy II: The Golden Army, Eragon) and Dan Shotz (“Jericho,” “Harper’s Island”). Havana Quartet” starring international film star Antonio Banderas (Evita, The Mask of Zorro, The Expendables 3). Celebrated Cuban writer Eduardo Machado (STARZ Original series “Magic City,” “Hung”) will write the pilot and executive produce with Banderas alongside Peter Nadermann of Nadcon Film, as well as Jennifer Kawaja and Julia Sereny of Sienna Films. eOne will serve as the studio and produce the hour-long drama series, as well as distribute the show worldwide. Based on the popular four-book series of detective novels “Havana Blue,” “Havana Gold,” “Havana Red” and “Havana Black” written by acclaimed Cuban novelist Leonardo Padura, “Havana Quartet” follows hard-drinking, romantic Cuban Police Detective Mario Conde (Banderas) who longs to be a writer but settled for a job as a detective. Watch all of Season 3 final episodes of “Da Vinci’s Demons” and the widely-anticipated limited series “Flesh and Bone” will be available exclusively for STARZ subscribers on STARZ PLAY and STARZ ON DEMAND, in the U.S., commensurate with their respective first episode premieres on October 24 and November 8. The bingeing opportunities give STARZ subscribers online and on-demand options to watch all ten episodes of season three of “Da Vinci’s Demons” from creator and executive producer by David S. Goyer and all eight episodes of “Flesh and Bone” from Emmy® award-winning "Breaking Bad" writer and executive producer Moira Walley-Beckett, in advance of the respective episode premieres on STARZ.